Jieun Park, a visiting scholar at USC ARNIC this semester, received Ph.D. in Journalism & Mass Communication from Korea University. She has research experience in broad fields including ICT innovation, Korean telecommunications industry, communication technology standards, and Korean media policy. Her current research interests lie on the application and its impact of ICT innovations in different societies, telecommunication market strategy, and media policy & regulation issues. 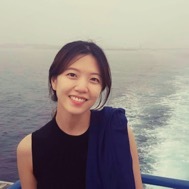 Prior to joining ARNIC, she has spent one year as a policy researcher at Seoul Digital Foundation, a digital think tank founded by the Seoul Metropolitan Government. As a policy researcher for Seoul, she has published two reports that investigated 1) Seoul’s strategy for the fourth industrial revolution, and 2) open platform strategy for Seoul. She holds two bachelor’s degrees in International Studies and Communications and a Master’s Degree in Journalism & Mass Communication from Korea University. This research examines the possibility and implementing strategies of innovative internet technologies that the author refers as “sky-streaming internet” technology. Sky-streaming internet includes balloon internet from Google, drone internet from Facebook, and low-earth orbiting satellite internet from OneWeb, which commonly aim to remove the digital divide by beaming down the internet connectivity to the most unwired regions of the world. This study attempts to provide practical implications for both the sky-streaming internet service providers and developing countries that consider adopting these technologies by examining its expected contribution, challenges, specific strategies, and comparison between the tree different technologies. The analysis integrates two different methods and data sources that include interviews with ICT4D experts on the first level, and an analytic hierarchy process analysis on the second level. Lunch will be served at the seminar. For any questions, email sierra.bray@usc.edu.